How to Communicate With Cats: No ESP required! Marty’s spent some time observing dogs and humans interacting, and it always amuses him how dogs enjoy and understand such simple commands as “Sit;” “Stay;” “Down;” and “Fetch.” To communicate with cats, there’s a little more finesse involved. 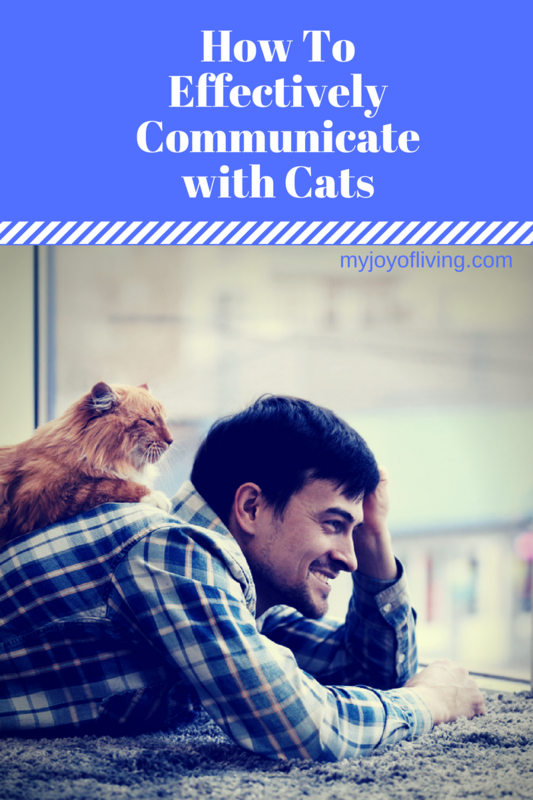 However, do you know how to communicate with your cat? Felines do tend to be a bit more advanced intellectually than dogs, so it takes more than just a simple, monosyllabic grunt on your part to get their attention. According to catster.com, when you communicate with cats, it is less the words you use and more the tone and body language you employ when you utter those words. For example, if you command us to get “down” from the couch, if you smile and use a singsong voice, we will probably ignore you. However, if you use a stern facial expression, along with a hand gesture pointing down to the ground, we will probably get the message in time. If your cat is annoying you while you are trying to do work or some other task, respond with a firm “No,” and then gently push him away. If you say this with a sweet tone and a loving caress, your cat will most likely not take you seriously and continue to stick around. So, just remember…consistency is key…firm tone along with stern facial expression and hand gestures to get one point across….and a sweet smile, along with a singsong voice and a loving touch, and then we will know treats are on the way! Have fun! Communicate with your cat. Now, Marty is off to his enormous task of doing nothing. If he hisses at me should I interrupt, I know to back off and give him space! This communication stuff works both ways, you know!